Disclosure: I was not in any way paid or asked to include the products on this page, and the photos are my own. I nearly cried this week when I accidentally knocked a treasured family photo off the wall and smashed the glass, while hoovering. But I didn’t. And while it felt like the last straw for a few minutes, my eldest reminded me how easily it could be fixed. Unlike the problems facing so many other people. The change in the weather will take a while to get used to. For now, I’m mostly frozen. Yesterday I got chilled after a sudden shower of rain, and with a bit of spare time, I swapped my usual 3 minute shower for a reasonably leisurely bath. It was like a reunion with a long lost friend. Wonderful. Talking of wintry conditions, I’m enjoying seeing all the warmer clothes in the shops and planning what to buy my disabled daughter as her clothes never last long, due to chewing, sitting, spills and stains, and holes from yanking unwilling garments into place. I’m thinking the pink and blue scarf and hat would be be perfect on her. This undomesticated goddess got another boost this week and I could actually kiss those lovely Lidl people sometimes! Mostly when they bring out products that actually work like this limescale remover. I’m tempted to buy a lifetime supply in case they discontinue it like the chlorine spray that turned grey grout brilliant white again. If you’re reading this, lovely Lidl person, please start stocking it again. 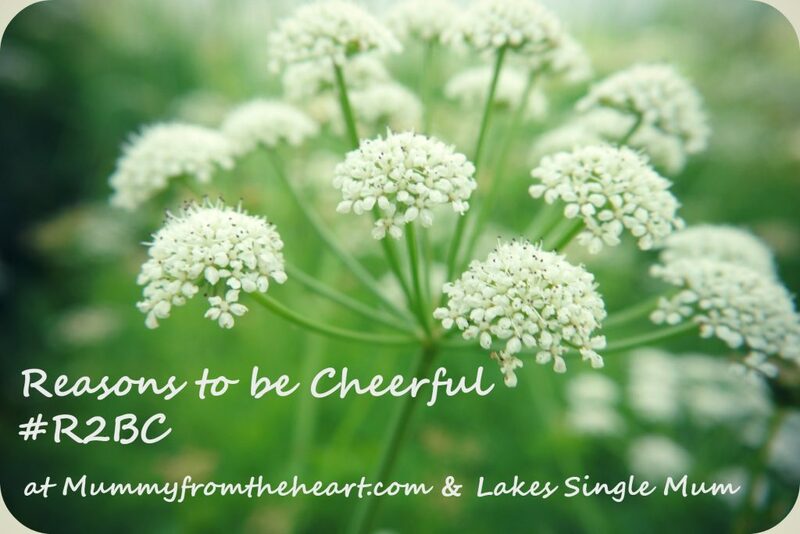 So that’s my reasons to be cheerful for this week: head over to Mummy from the Heart for more.